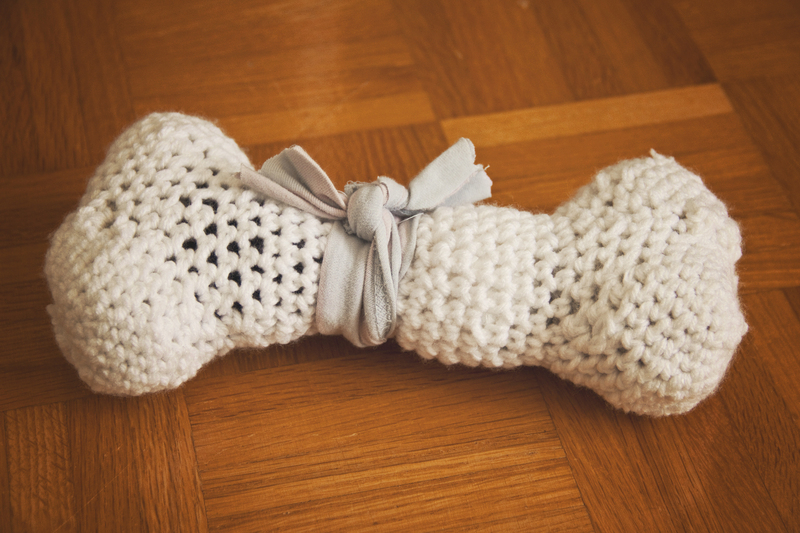 My practise ball of white yarn never seems to disappear so I made Teddy this crochet bone with a pattern I found on Pinterest. I didn’t make it quite as long because of my dog’s small size. I added a ribbon made out of an old T-shirt to hide the seams.